How to flash, read flash, write flash and format Karbonn K222S, which has a SPD SC6531 CPU. 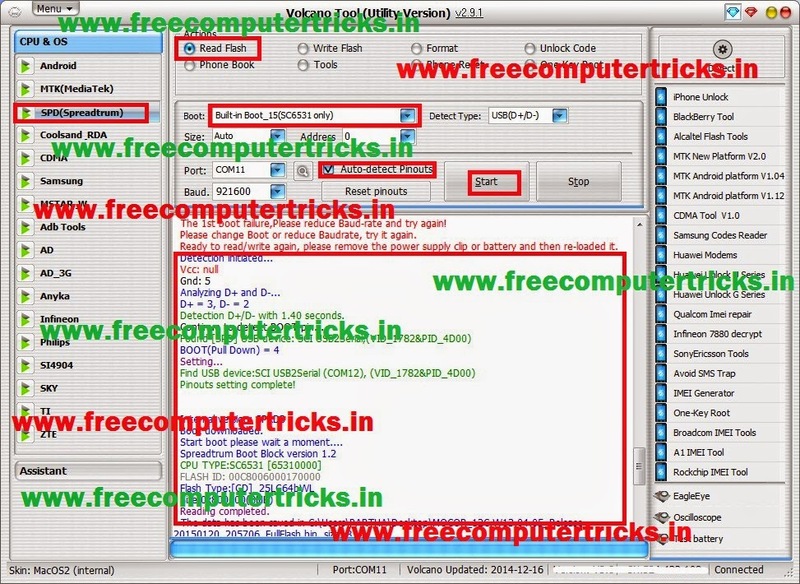 The below is the process to flash Karbonn K222s with Volcano Utility. In this way you can also format and write flash of Karbonn K222s with Volcano tool. This is tested but try it with your own risk.